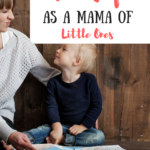 One of the things that surprised me most about being a Mom is how hard it actually is at times. I have many days full of joy, where I look smittenly (is that a word?) at my sons. I also have days where I really just want to crawl back in bed with my Netflix and sleep until the crazy has passed. I justify my attitude with two words. Terrible. Twos. Simply put, I wish days away because they are hard. Do you do that too? I’m starting to realize that these seasons in life, though challenging, are given to me by God. They were filtered through His hands and given to me as a gift. It makes me feel a little bad, because if I gave someone a wonderful present and they wished it away because they didn’t like a fraction of it, I’d be devastated. I hesitated to share these thoughts with you because my heart doesn’t always quite line up with the words I’m going to speak into our situations. 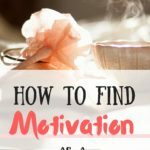 I hope that by sharing my action plan to start seeing the beauty in the trying seasons of Motherhood that we’ll both be inspired to fight a little harder for joy. I have a strong-willed son. He’s my firecracker and right now, that strong will isn’t used for big things. It’s used for little things, like expressing his preference of snacks and his displeasure with socks. When these things seem so trivial, it’s hard to think about the future. His boldness to speak his opinion, if pushed in the right direction, can be used to change the world. His strong will can be used to stand up for what’s right. I think it’s important to try to have an “eternity” minded view when we’re experiencing tough stages in our parenting. I’m trying to choose to think past this temper tantrum and see how the personality traits my kids possess are actually tools that make them awesome. What Lesson Can You Learn? 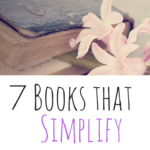 I’ve heard a concept in a few parenting books and articles that’s really stuck with me. It says something along the lines of, “How is God trying to sanctify you through this trial?” Or in my words, what is God trying to teach me? What character trait is He trying to bring out in me? 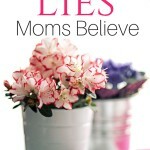 How am I going to be made a stronger person, a better Mom through this? 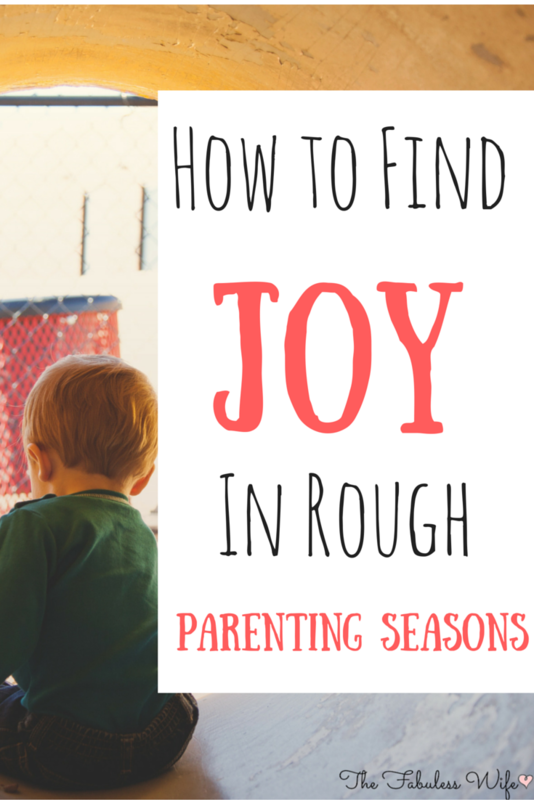 When we think about the lessons to be learned when parenting isn’t the most fun, it redeems the season. When the season is redeemed it gives us a reason for joy. When life is rough and we have to pour more into the lives of our kids, we need to start pouring more into ourselves. Whether that looks like a bubble bath, diffusing essential oils or just going to sleep early, take care of yourself. I learned the hard way the dangers of burning the candle at both ends. Recently, I took on a campaign that was more than I should have committed to. In the future, this project would have been wonderful, but it took so much devotion that I was left with nearly nothing to give. As life would have it, this was also a very rough month for my family, particularly my little ones. For weeks after, I was even more tired than usual, cranky and I felt sick all the time. Being everything to everyone just wasn’t worth it! The trying seasons with our children deserve a level head. It’s so much easier to think clearly when you’ve taken care of your needs also. I keep a little notebook for this purpose. If it’s a really bad day, I’ll journal something funny he’s said or done lately or even write him a little love note. This is also a great keepsake to give to your baby someday! Rough times always pass, but the way that we react to hard situations imprints not only on our hearts, but our little ones heart too. 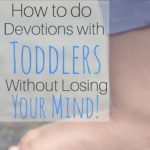 How to do Devotions With Toddlers Without Losing Your Mind! The only way to keep my sanity as a mom is to think that I have wonderful kids. And I am thankful for every single blessing I have in my life. You have written a brilliant post! I love it! Thank you so much! That is true. 🙂 Sometimes it’s a constant reel that plays in my head! LOVE this!! I have a newborn and a two year old. I’ve had a fair amount of rough days lately. Your post was so encouraging to me. I especially liked the suggestion to think about what you can learn through the situation. I’m going to try to keep that mindset this week! My best strategy is a lot of prayer – all day long, several times a day. ? That, and constantly reminding myself that if God gave me these children, then He knows I can take care of them. That always brings me enormous comfort when I feel like I just can’t do it anymore. All I can say is thank you! I was bawling near the end of this post. My husband and I have been going through an especially difficult time right now with our two boys. I feel like I’ve become the parent I told myself I’d never be and I’m having such a hard time trying to figure out how to best cope. I always try to see the bright side of things, but lately that has been a tough thing to do with my 4 year old who has so much anger and attitude towards me. I was brought to tears after reading ‘what is God trying to teach me?’ Lately I’ve left God out of parenting, thinking I can do it on my own, however it seems to be that He is trying to tell me that I can’t raise the two children he’s given me, without help from the maker Himself. Thank you for the words of encouragement. God bless you! With little kids, when are you supposed to get self care in? I can just barely get a date in with my husband every six months.